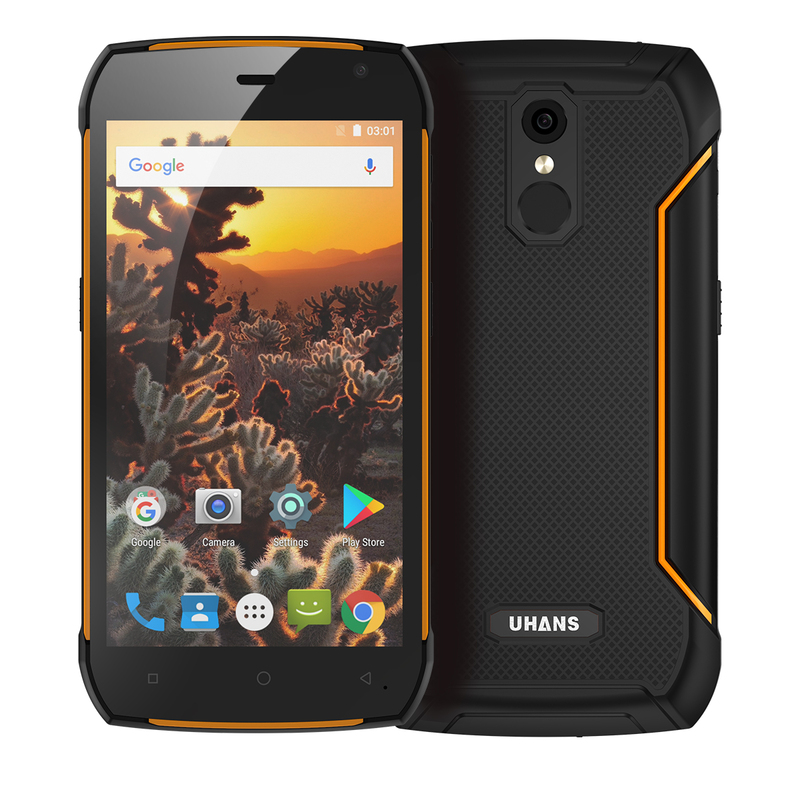 Successfully Added Uhans K5000 Rugged Android Phone - IP68 Waterproof, Octa-Core CPU, 3GB RAM, Dual-IMEI, 4G, 13MP Camera, Android 7.0 (Orange) to your Shopping Cart. The Uhans K5000 is an affordable rugged phone that will follow you anywhere you go. With its rugged IP68 design, this Android phone is resistant to water, dust, drops, and more. No matter where your next adventure will take you, this rugged phone will do its job. Thanks to its whopping 5000mAh battery, it treats you to an outstanding 12 hours of continuous usage time. This means that you can head out with confidence as you no longer have to worry about running out of juice. To make sure that you’ll always stay connected, the Android phone supports Dual-IMEI numbers. It furthermore treats you to 4G as well as Dual-Band WiFi. Whether you’re at home, in the office, or out in the wild - with this Android phone you’ll always stay within reach to friends and family. Packed within its rugged body, this Android phone holds some sophisticated hardware. An octa-core processor that has been clocked at 1.3GHz treats you to all the power needed to tackle the latest software features. Along with 3GB of RAM and its Android 7.0 operating system, a smooth and lag free user experience is guaranteed. The phone treats you to 32GB internal storage and an additional 128GB SD car slot. This means that you won’t have to worry about storage space for any of your media, games, and pictures anytime soon. On the phone’s 5.09-Inch FHD display, you’ll be treated to a crisp visual experience while enjoying the latest movies and series. The rugged phone furthermore comes with a professional-grade 13MP rear camera for shooting stunning pictures and Full-HD video of your upcoming outdoor adventures. If you’re looking for an affordable outdoor phone that has it all, the Uhans K5000 is perfect for you.